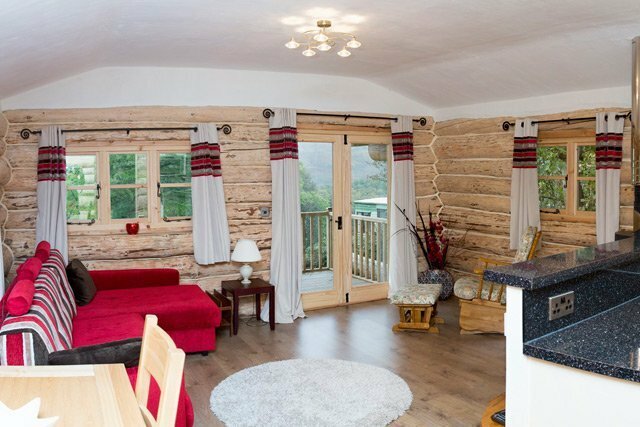 The spacious open-plan lounge of our log cabin accommodation. 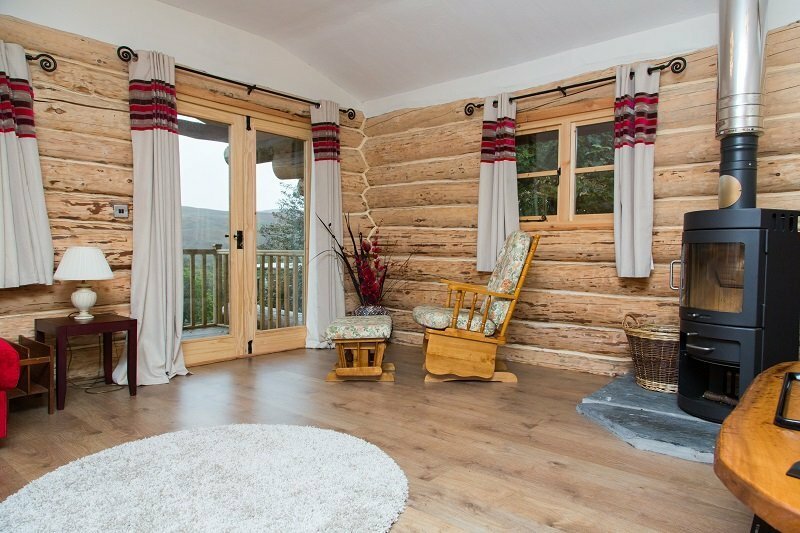 The Log Cabin has been lovingly hand built using the traditional full scribe Swedish cope method, using timber from the farm. 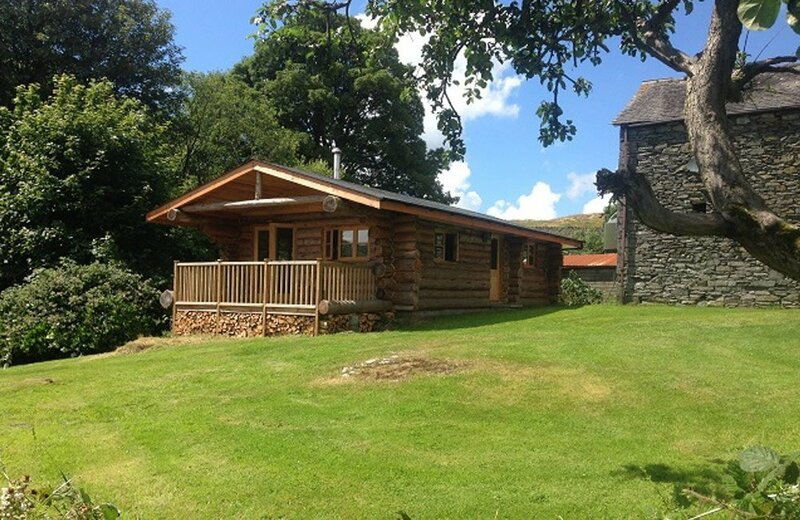 There are excellent panoramic views of Woodland Fell and the surrounding valley from the veranda, you can even see the forest where the logs were taken from to build the cabin. 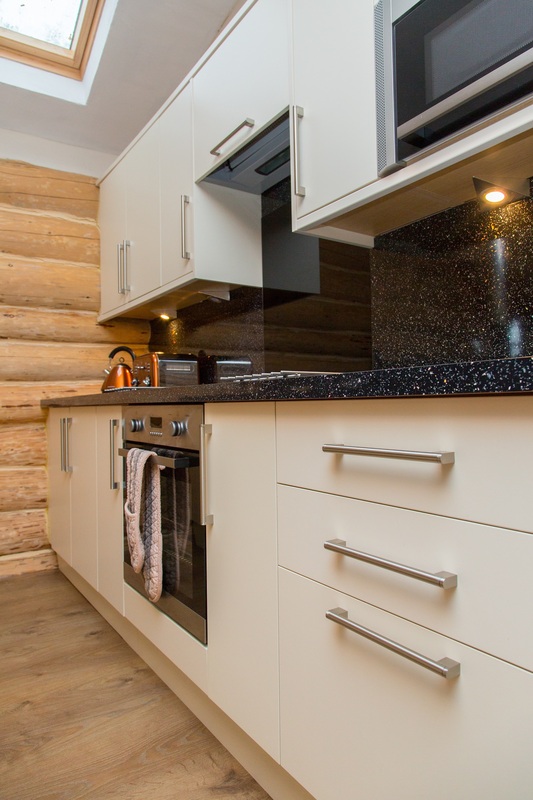 The wooden floor has under floor heating throughout, and high quality lounge & dining furniture. 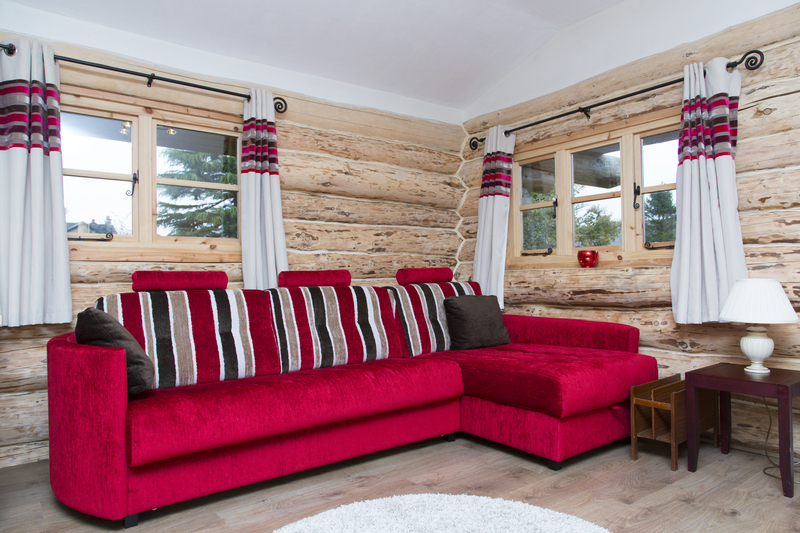 The Log Cabin has a large flat screen television with FreeSat and DVD. Guests are provided with free WiFi access. 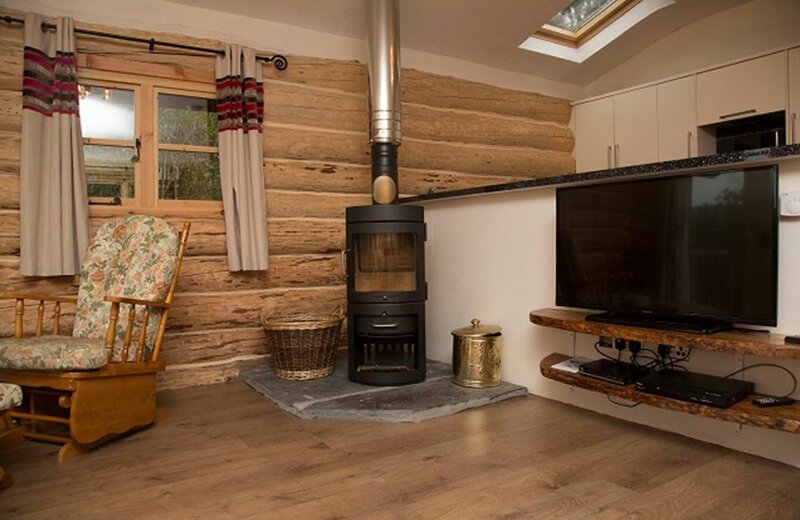 For added warmth there is a Scandinavian log burning fire, logs are provided. 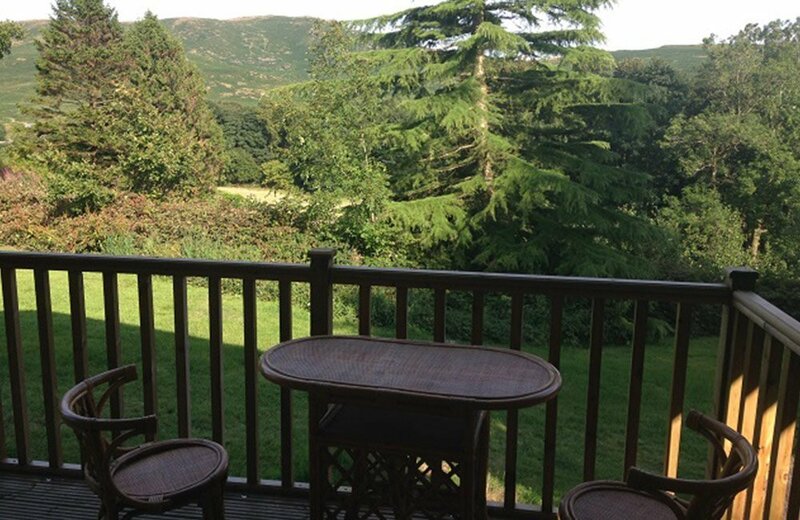 Patio doors lead to a veranda complete with chairs and table to enjoy the gorgeous view. 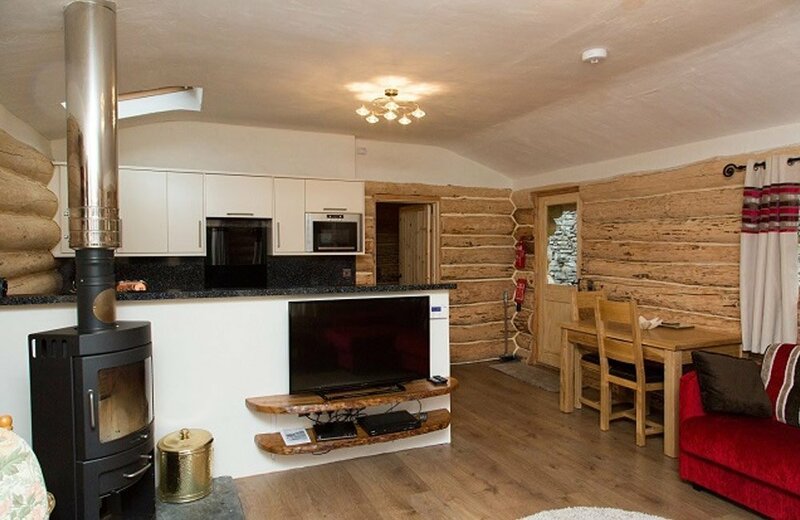 There is one double bedroom in the log cabin, which has under floor heating. 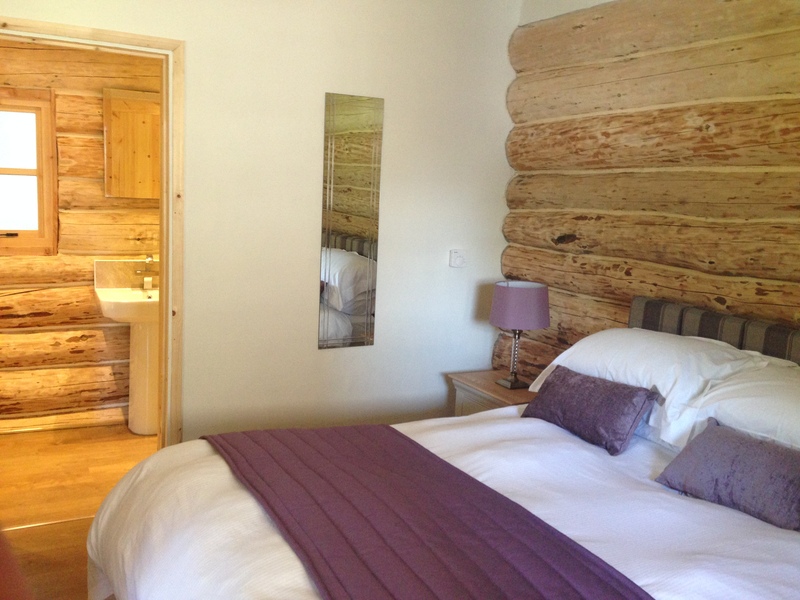 The bedroom includes a double wardrobe, tall boy chest and bedside tables. Bed linen is provided. 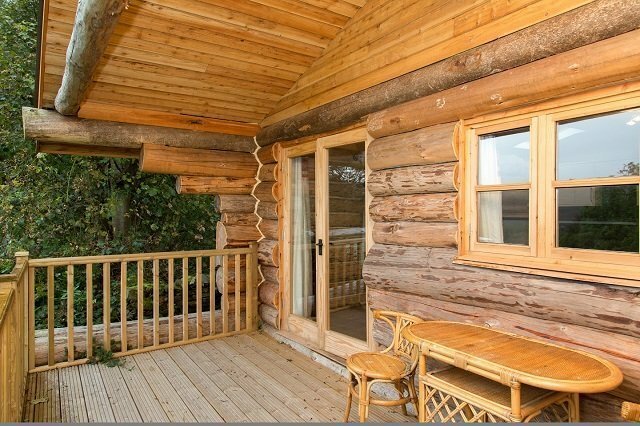 The well appointed bathroom has under floor heating and a chrome heated towel rail. 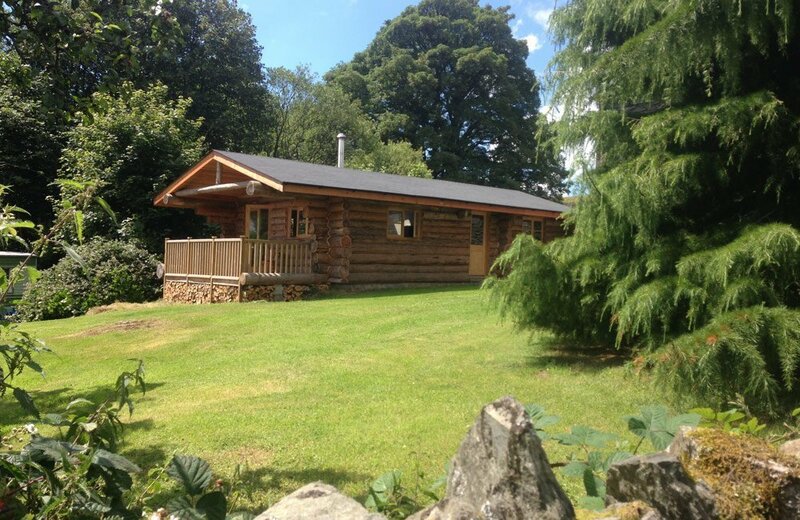 There is a large shower, wash basin and W. C.
There is a large lawned garden overlooking the Woodland Valley. Garden furniture and barbeque are provided. We are sorry but no pets are allowed in The Cabin.